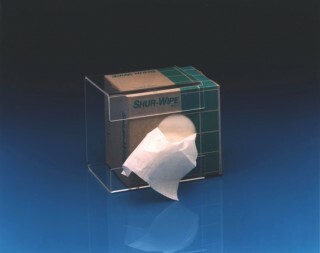 These holders are for the large Kimwipe/Sur-Wipe/AccuWipes ( For Kimwipe #34256 & # 34721) and may be mounted to the wall or lab cabinets for easy access of wipers. One-handed removal of tissues. Clear, acrylic holders maybe mounted with screws or double sided tape.